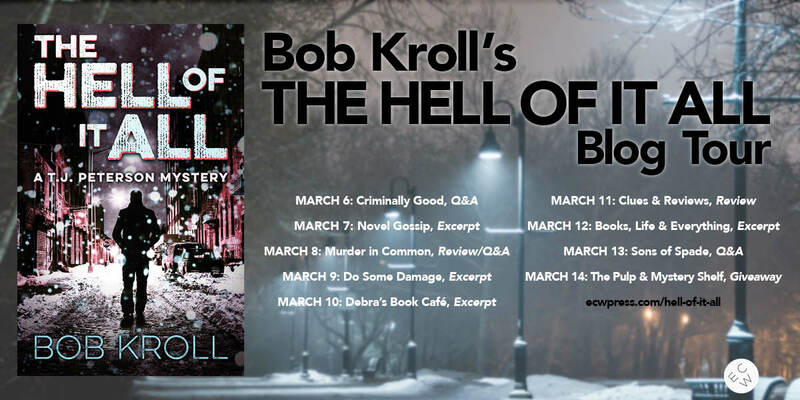 Tomorrow, March 6th, marks the beginning of ‘The Hell of it All’ blog tour with a Q&A with Bob Kroll over at Criminally Good. The tour culminates on March 14th with a book giveaway at The Pulp & Mystery Shelf. In between, check out the other sites for additional Q&As, excerpts and reviews, including Murder in Common’s Q&A and recommended reading post.